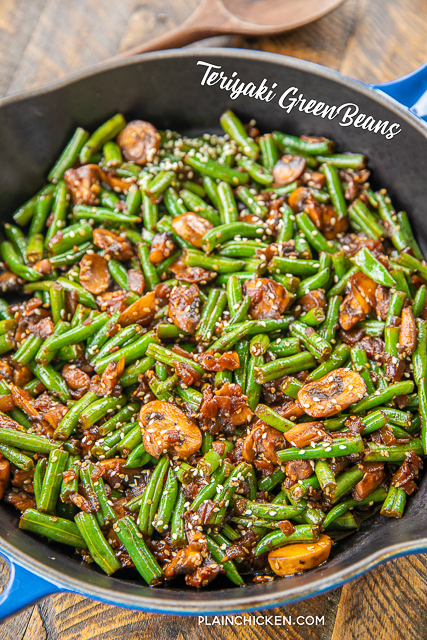 Green beans are one of our favorite weeknight side dishes, so I am always looking for new ways to prepare them. 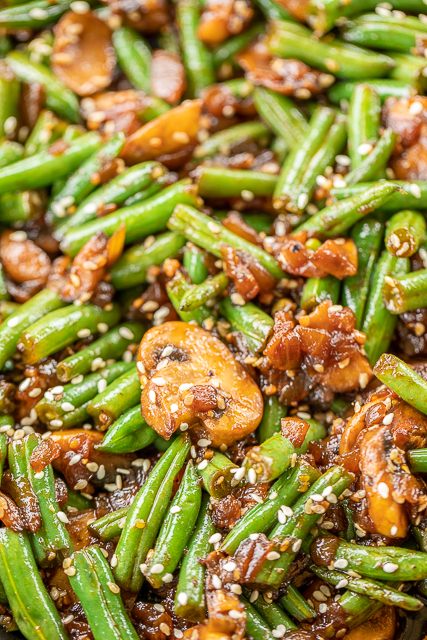 These Teriyaki Green Beans are some of the best we've eaten! 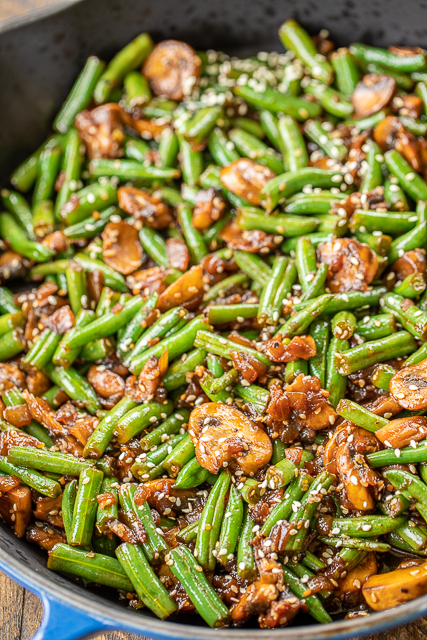 Fresh green beans, mushrooms, shallots, garlic, teriyaki sauce, sesame seeds - YUM!!! Sometimes I double the recipe so we have leftovers for lunch during the week. 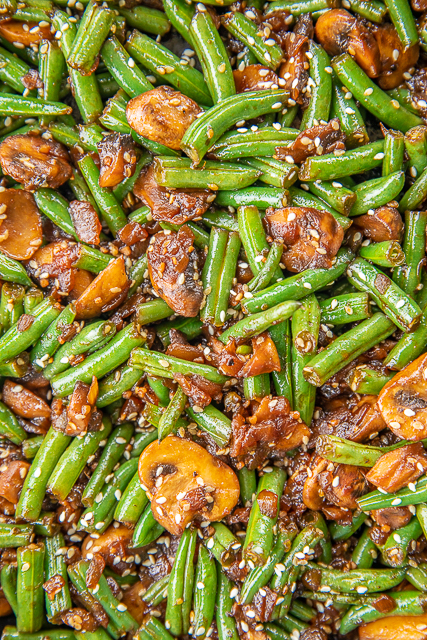 We serve these Teriyaki Green Beans with just about everything. Grilled steaks, chicken, pork, casseroles - you get the idea. This is a very versatile side dish. The best part about this recipe is that it only takes about 15 minutes from start to finish. I used fresh green beans in this recipe. I'm sure you could substitute a couple of cans of green beans if you prefer. It will save you some time by not having to trim and chop the fresh green beans. Melt butter in a skillet over medium-high heat. Add green beans, shallot and mushrooms. Cook until starting to soften, about 4 to 5 minutes. We don't like mushrooms. Can I add some onion instead? Yum! Unfortunately I've served some pretty lackluster green beans in my day. Definitely trying this one. Thanks, Steph! We eat green beans a lot too. It is definitely nice to have some different choices in the rotation. Enjoy!! 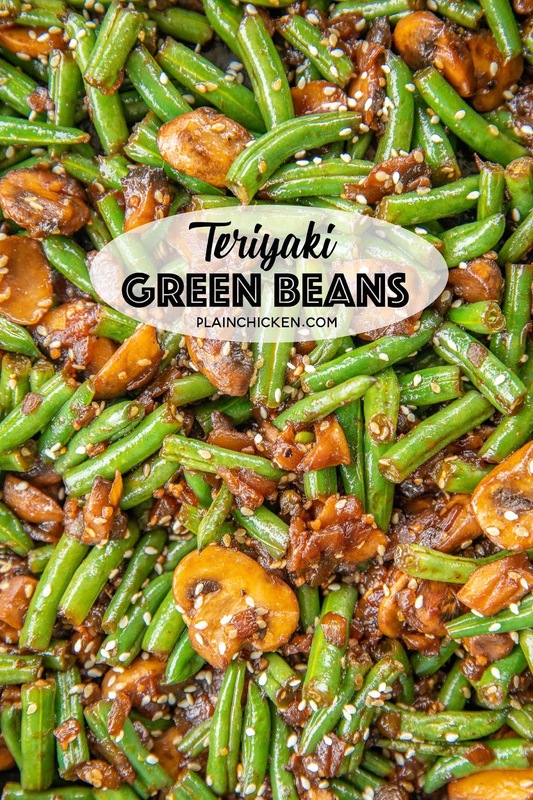 What kind of Teriyaki sauce do you use and how many cans of green beans if you don't have fresh??? Thanks for all the yummy recipes you post for us! I used Kikkoman teriyaki sauce. I have not made this with canned green beans, so I can not answer with certainty how many cans to use. As always, please use your best judgment regarding substitutions and modifications. My questions are exactly the same as Dianna's ! Please answer !